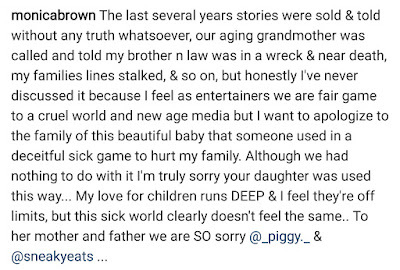 There were media reports that Monica Brown’s husband, Shannon Brown, had fathered a child with another woman who sent her ‘pregnancy test’ to media houses and sent the baby’s supposed photo as well. 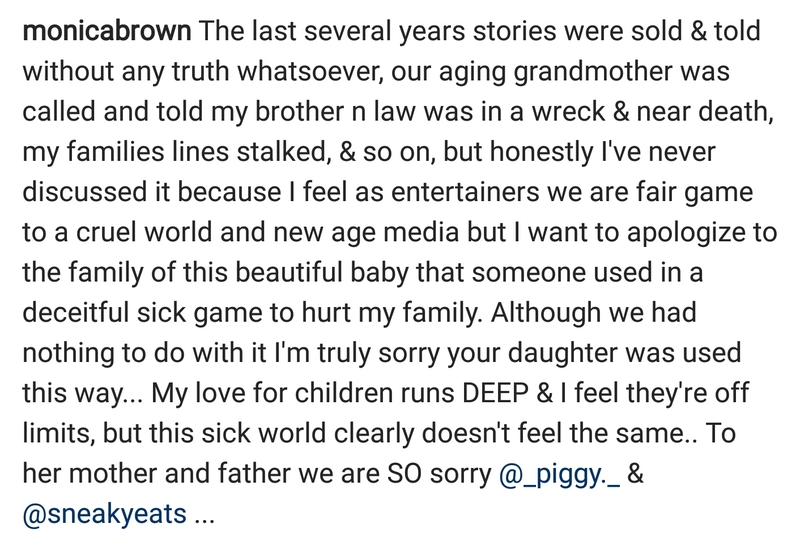 Turns out it was all a lie. 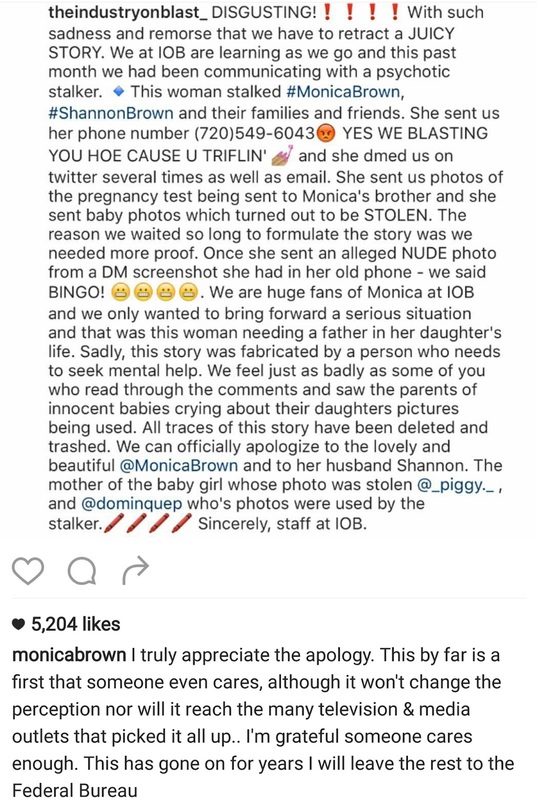 The lady was never pregnant and made everything up. 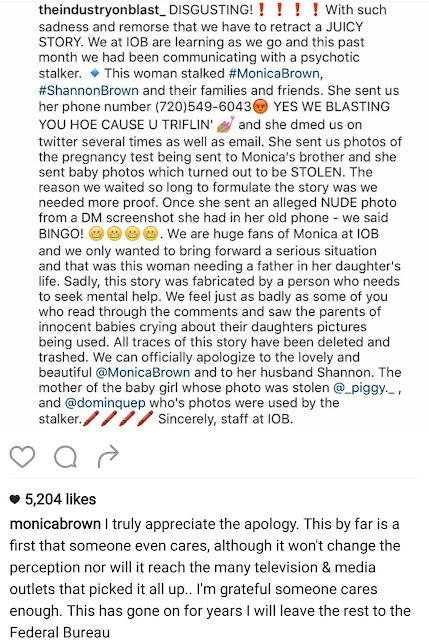 The Industryonblast which released the exclusive story found out that everything the lady said about Monica’s husband were all lies and apologized to Monica.Her write up below….